Reynolds, GA: Stay, play, golf w/ this all inclusive getaway. > Reynolds Lake Oconee, Greensboro, GA presents its “Reynolds Ultimate” stay-and-play package. 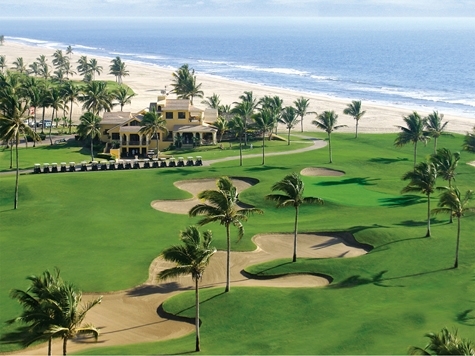 This all-inclusive experience includes luxury accommodations in a cottage or condominium, unlimited golf, Southern-style breakfast each morning, complimentary wi-fi and access to The Landing Fitness Center, privileged access to Reynolds Kingdom of Golf for Instruction and clubfitting plus access to Sandy Creek Sporting Grounds for world-class sporting clays. Package is priced from $399 per person, per night. Send me more information about Reynolds Lake Oconee! Osprey Cove, GA: Hosting St. Patricks’ Day celebration. > Osprey Cove, St. Mary’s GA will celebrate St. Patrick’s Day in fine style, beginning with an Irish-themed brunch on Sun., March 17 that features a menu of corned beef and cabbage, Reuben sandwiches and corned beef hash. After the brunch comes a St. Patrick’s Day Parade that begins at 3 p.m. at the River Club and follows a route to the main clubhouse. Residents are invited to decorate their golf carts and bikes in honor of this springtime celebration. Send me more information about Osprey Cove! Desert Mountain, AZ: Membership sales higher than ever. > Desert Mountain, Scottsdale AZ recently released membership sales figures that show the club in higher demand than at any previous time. In calendar 2018, Desert Mountain added 131 members from 26 states and four nations, a substantial increase of nearly 15 percent over 2017. New members hale from eight of the 10 most highly populated U.S. states, including many states along the East Coast. Send me more information about Desert Mountain! Heritage Shores, DE: Discover community amenities & more. Osprey Cove, GA: Come to the park for music, parade & more. > Osprey Cove, St. Mary’s GA and its residents are getting set for the 25th Annual St. Mary’s Mardi Gras Festival and Parade, March 2. The 2019 festival features headline entertainment by Waterloo Revival, playing at the St. Marys Waterfront Park at 4 p.m. The parade begins at 10 a.m and there will be all-day street vendors plus youth activities and local arts and crafts booths as well as demonstrations. Send me more information about Osprey Cove! 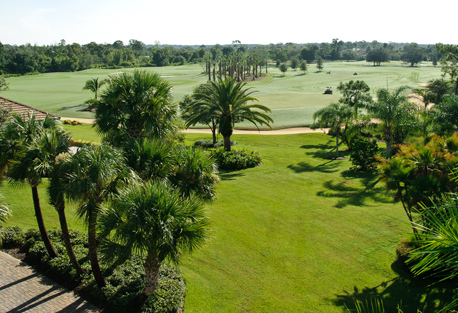 Quail Ridge, FL: Awarded for club excellence. > Quail Ridge Golf & Country Club, Boynton Beach FL has been awarded the Distinguished Elite Club award as part of the annual Distinguished Clubs award program conducted by BoardRoom magazine, one of the private club industry’s most respected trade publications. BoardRoom‘s award program uses a club-specific rating system that recognizes the club, its management, and its staff based on a proprietary criteria and evaluation process. Send me more information about Quail Ridge! Comanche Trace, TX: stay, play, golf, enjoy the surroundings. 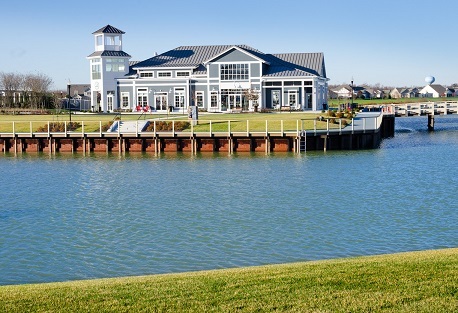 > Comanche Trace, TX invites you to come experience the Comanche Trace lifestyle with a Stay & Play Getaway Package. Stay in a rental home or at a local hotel, and enjoy unlimited use of the tennis courts, fitness center, swimming pool, private river park and fishing lake. Golf can also be included as part of your package. Send me more information about the Comanche Trace getaway! Desert Mountain, AZ: Renovations feature Nicklaus supervision. > Desert Mountain, Scottsdale AZ is nearing completion of a significant renovation to its Renegade golf course, one of six championship layouts within the community. All 18 Renegade holes are being improved, receiving new greens, bunkers, tees, cart paths, drainage, irrigation, lake construction and grassing. 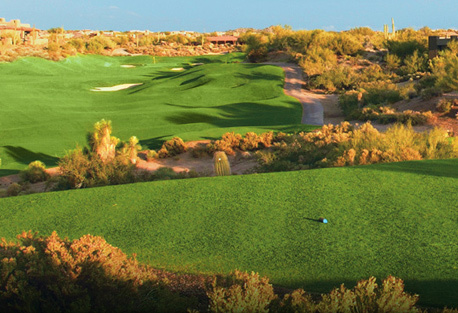 Cochran also considered the maintainability and sustainability of the course, with much of the steep mounding and Jack Nicklaus has been personally involved with the project and has conducted site visits and provided critical oversight about the renovation.” Send me more information about Desert Mountain! Osprey Cove, GA: Kids will gather to make gifts. > Osprey Cove, St. Mary’s GA extends a helping hand to busy families during the holiday season with a “Nifty Gift” event on Dec. 16 at the community’s River Club. From 2 to 5 p.m. that afternoon, club staff will be helping Osprey Cove kids make special gifts by hand for friends and family. Cost is $10 per child and refreshments will be served. Send me more information about Osprey Cove! Quail Ridge, FL: Invitation extended – come visit! > Quail Ridge Golf & Country Club, Boynton Beach FL extends an Invitation to Stay & Play while enjoying club activities and amenities. Package includes, for each person, two nights in a spacious condominium, two rounds of golf, $50 in food-beverage credits, plus use of the fitness, tennis and pool amenities. Price for the complete package: $399 per couple, $299 for a single. A community tour and preview of available homes is also included. Send me more information about Quail Ridge! WindRiver, TN: Aug. 10 event includes music, tastings. > WindRiver, Lenoir City TN has a whisky-and-music-infused evening planned for Fri., Aug. 10 in Citico’s Lounge from 6:30 to 8:30 p.m. The evening’s tasting will feature Kilchoman Scotch from the last family-owned distillery on majestic Islay Island, some of Chef Robert’s favorite bites and live music by Fredda Valentine. Guests will enjoy three tasting stations and accompanying hors d’oeuvres inspired by the Scottish Isles. Cost is just $35 per person. Send me more information about WindRiver! Osprey Cove, GA: Enjoy a milkshake while you’re there. > Osprey Cove, St. Mary’s GA is serving up nostalgia in two forms this weekend, hosting a Classic Car Show plus the culinary equivalent, a Classic Diner Menu to be served to all show-goers who stay on for early dinner. Menu highlights will include hand-spun milkshakes. Hours for this event are 11 a.m. to 6 p.m. Send me more information about Osprey Cove! Callawassie Island, SC: Unlimited swimming, golf & more. 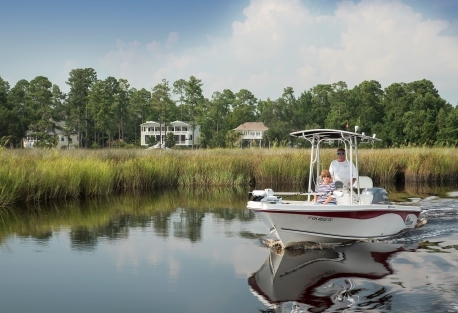 > Callawassie Island, SC invites visitors to enjoy its 3-day/2-night Discovery Visit and learn firsthand why it’s such a popular place in the Lowcountry to live. Package includes 3 days/2 nights accommodations for two in an on-island home, unlimited access to the fitness center, two swimming pools and six Har-Tru tennis courts, unlimited access to both the Clubhouse and River Club, $50 gift certificate for dining, your choice of either a golf or tennis lesson, a session with a personal trainer and personalized real estate tour of Callawassie’s outstanding homes, homesites and amenities. Send me more information about Callawassie Island! Haig Point, SC: Expands riding schedule, opportunities. > Haig Point Club, Daufuskie Island SC expands its schedule for riders. The community has a summer update from its Equestrian Director, Rachel Allen, that features a new and expanded schedule for horseback riding on the beach. The team has selected a group of horses for special training on these oceanside trails, acclimating them fully to these conditions. The result for riders is a greater variety in choices of mounts and much easier scheduling of your guided beach ride. Send me more information about Haig Point! Osprey Cove, GA: Hosting fun night for parents, kids. 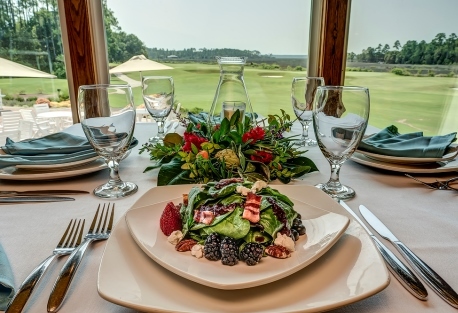 > Osprey Cove, St. Mary’s GA is providing parents in the community with a special “Dine & Drop” opportunity on Thur., July 26 from 5 to 8 p.m. at the River Club. Parents who bring their kids and leave them in the capable hands of club staff can head to the Clubhouse to enjoy dinner and a lively Trivia Night competition. Staff will provide the children with pizza and lemonade plus a double-feature movie night of “Cars” and “Cars 2.” Cost is just $8 per child. Send me more information about Osprey Cove! Osprey Cove, GA: Come by boat for food, drinks, music. > Osprey Cove, St. Mary’s GA is planning a Summer kick-off event at the community marina on Tellico Lake, Sat., June 9 from 6 to 10 p.m. Guests are invited to arrive by boat and tie up at transient slips for “Music on the Water” with live entertainment by Steve Rutledge and the Groove Evolution. Full bar service and a special food menu will be provided the Osprey Cove’s on-site Citico’s Restaurant & Club. Send me more information about Osprey Cove! Daniel Island, SC: June 8 fundraiser. > Daniel Island, Charleston SC The Rotary Club of Daniel Island and other participating Rotary Clubs in the Charleston area will hold the 12th annual Charity Duck Race at the community’s Smythe Lake Park on Fri., June 8 from 5 to 8 p.m. This year’s race will be combined with the Daniel Island Property Owners Association’s “Sounds of Summer” concert, featuring the band “Plane Jane.” Over the past 11 years, this event has raised over $1,400,000 for local beneficiaries and Rotary projects worldwide. Send me more information about Daniel Island! 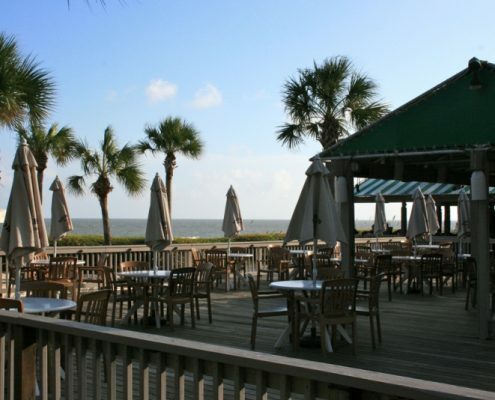 Sea Pines Resort, SC: Enjoy coastal dining & more during stay. 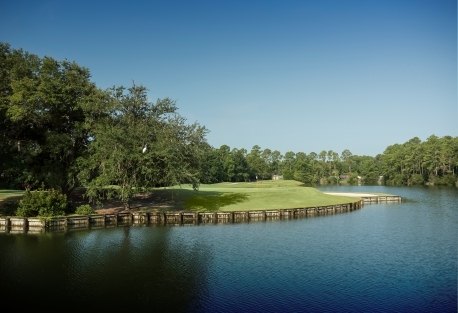 > Sea Pines Resort, Hilton Head Island SC has unveiled its “Ultimate Buddy Trip” package, with the chance to play where tour pros play the PGA Tour RBC Heritage. Package includes lodging at The Inn & Club at Harbour Town (or stay in a private home or villa), golf on the iconic Harbour Town Golf Links as well as Heron Point and Atlantic Dunes, breakfast daily, private beverage tastings with premium cigars, individual lockers in the PGA Tour locker room, select group dining and entertainment, including a personal driver each evening. Packages start at $383 per buddy, per night. Send me more information about Sea Pines! GlenLakes, FL: You never know what you’ll see on the waters. > GlenLakes, Weeki Wachee FL reminds residents that the community’s Kayak Club has scheduled it annual “Get-a-Way” Paddle for May 7-10 in Siesta Key. There are two paddles scheduled, along with an arrival barbecue at the resort where the club is staying and easy access (by golf carts) into downtown Siesta Key in the evening. The famed downtown retail area of St. Armonds Circle is only 10 minutes away for the non-paddlers. Send me more information about GlenLakes! Osprey Cove, GA: Celebrate on the double. > Osprey Cove, St. Mary’s GA is doubling down on springtime special-event festivities this Sat., May 5, as it hosts a “Cinco de Derby” combo celebration. Cinco de Derby activities take place from 12 noon through 9 p.m. at the community’s popular Tiki Hut with Hot Browns, Quesadillas, Nachos, Flautas, Mint Juleps, Margaritas and other specials. The guest with the most impressive Kentucky Derby Hat wins a special prize. Send me more information about Osprey Cove!